Whimsday: The Weird Beard | Write Your Own Story! I’m officially renaming this weekly feature (usually Whimsical Wednesday) because I am posting this week’s edition on Thursday. By doing so, Whimsday becomes a made up day of the week, and I can move it around to suit my, you know… whims. Also the word whimsical, while completely consistent with my intention, sounds strangely effeminate when I say it out loud. Try it. Nobody outside of Samuel L. Jackson can make that word sound cool. Anyhow, as I’ve described in disturbing detail before, I have a thing for older men with beards. It’s ok, Rachel is cool with it. It’s just that the best Mentors have great beards. Confucius. Freud. Gandalf. Kenobi. Jerry Garcia. Papa Smurf. And so forth. Our Hero and one fairly unheroic beard. 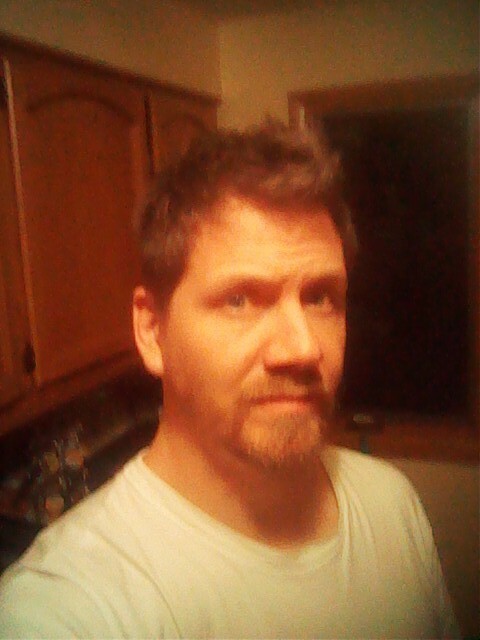 Compared with some of the Bunyanesque beards I’ve been seeing of late, my production seems to be pretty modest. 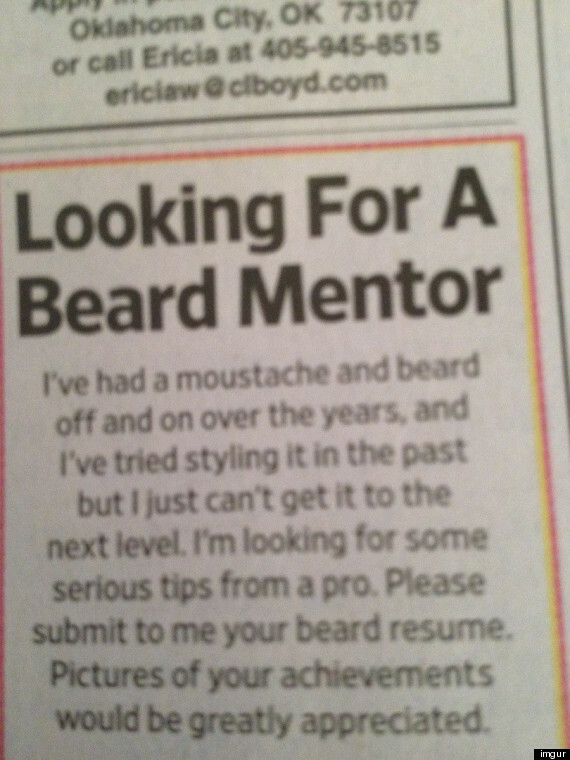 In my bittersweet, scratchy, reflective moments, I stumbled across the following personal ad, which connects the dots between my wispiness and my appreciation for hairy helpers. That’s it! Next year, I’m getting a tutor for my unpolished bristles. This entry was posted in Whimsical Wednesdays and tagged Beard, Facial hair, Gandalf, Jerry Garcia, Mentor, Movember, No-Shave November, Papa Smurf, Samuel L. Jackson. Bookmark the permalink.